Fig. 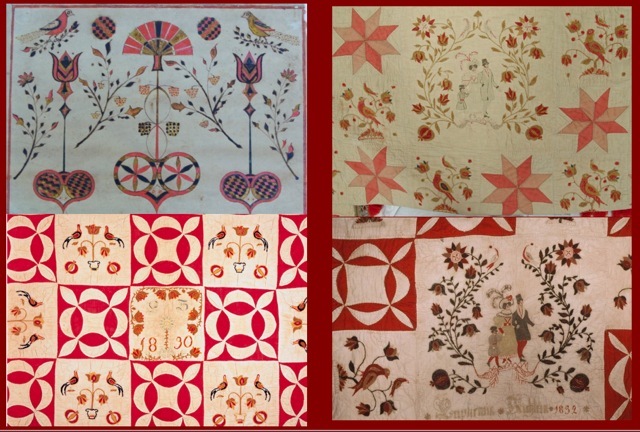 2 COMPARISON OF FRAKTUR WEDDING QUILTS WITH PA DUTCH FRAKTUR DESIGNS, 1820-1840 Courtesy of Moravian Museum of Bethlehem PA M849.01; Winterthur Collection 2000.0071; Schwenkfelder Collection, uncatalogued; MMA, 2016.432. Published September 1, 2016 at 640 × 432 in Fraktur Quilts from the Schleifer-Kichlein Family.